The Nike Sportswear Rally Women's Hooded Dress is made with brushed-back fleece and an adjustable hood for soft warmth and coverage. 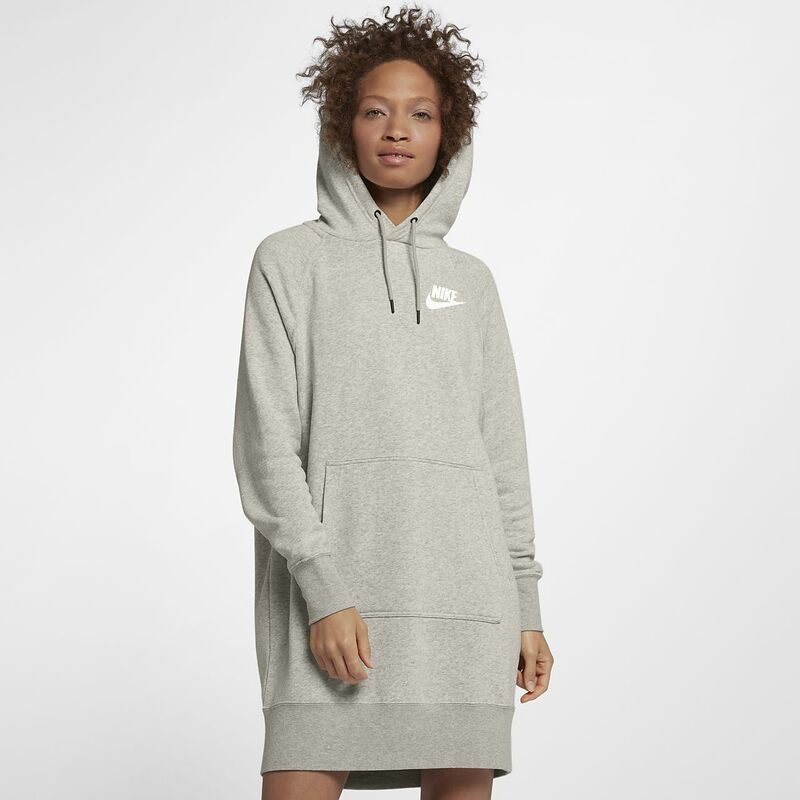 The Nike Sportswear Rally Women&apos;s Hooded Dress is made with brushed-back fleece and an adjustable hood for soft warmth and coverage. Brushed-back fleece feels soft and warm. Fabric: 58% cotton/25% rayon/17% polyester. Underarm panels: 96% cotton/4% spandex. Hood lining: 100% cotton. Recently ordered this online. Was a little nervous that I ordered the small (I usually range between a S-M). The small fit perfect! Not too tight, but not too loose either. I'm 5'5" 150 lbs and curvy. Will definitely be purchasing more in different colors!